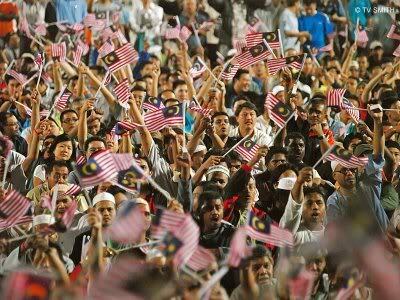 Malaysia's upcoming general election offers the country its most significant choice for several decades. The political tsunami of 2008 was an eye-opener. At the second Pakatan Rakyat convention in Kepala Batas, PAS president Abdul Hadi Awang acknowledged the weaknesses in the opposition pact and urged party member to unite and remain focused. The nation faces enormous challenges in the years to come. The economic demands are tremendous. The next government needs to stabilise the economy and stimulate growth in the private sector. It has to deal with its burgeoning debt, cut subsidies and rein in borrowings if it does not want to risk bankruptcy. Our probems are not just economic. 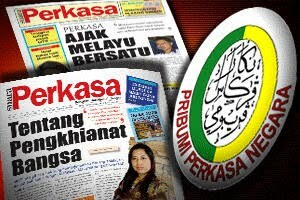 We are faced with a rising tide of extremism from Malay groups, borders which are porous, a rise in Islamic fundamentalism, a rise in racist incidents, problems in our schools and hospitals, the destruction of the police and judiciary, babies being abandoned, high levels of corruption and a weakening of civic society. These problems demand a robust solution and a strong government to tackle them. The burning question is: Which party is best suited to lead us out of this quagmire? 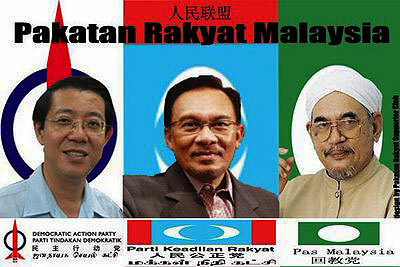 PKR recently held elections, whilst BN and the other component parties have deferred theirs. 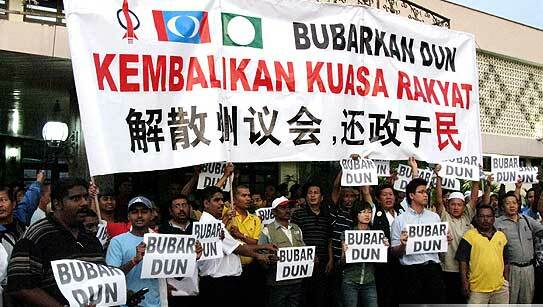 DAP and Gerakan have followed suit. This is indicative of the pressures these political parties face. All want to mount a strong challenge when the country goes to the polls. The parties have resolved to capture the imagination of the voters and the differences between them are obvious. BN believes that only it can solve the country's economic and social ills. Its slogan 1Malaysia remains just that - a slogan because in practice, certain races are held back by an invisible wall - the ketuanan Melayu (Malay supremacy) concept. In contrast, the Pakatan coalition believes that it can do a better job. It realises that the public mindset is changing. Race-based politics is a thing of the past. It is convinced that Malaysia is an increasing enlightened nation which believes in justice, the recognition of the rights of everyone regardless of race and that each Malaysian desires to be a part of the nation and be able to contribute towards its future. The future of Malaysia, according to the BN administration, is to capitalise on mega-projects to boost the economy, just as during the Mahathir era. 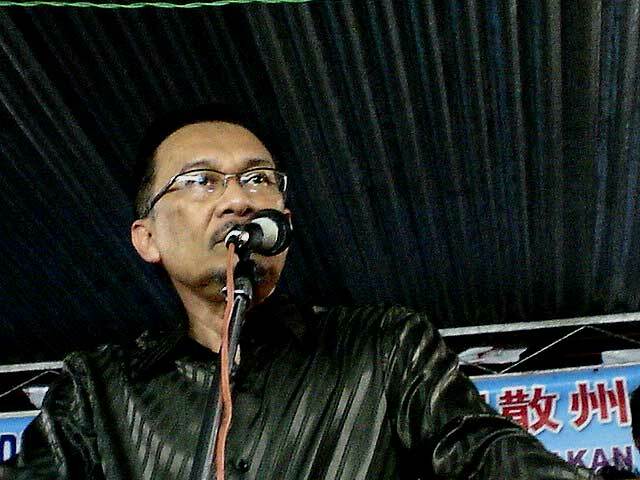 In his Budget 2011 debate, Opposition Leader Anwar Ibrahim said the BN's obsession with “grandeur” will presage its fall. One of these is the 100-storey Warisan Merdeka skyscraper which is expected to cost over RM5 billion. When completed, it will be the tallest building in Malaysia. PM Najib Abdul Razak's plans for mega-projects to stimulate the economy is risky as it fails to consider the country's current economic standing and the need to lower the budget deficit and improve competitiveness. 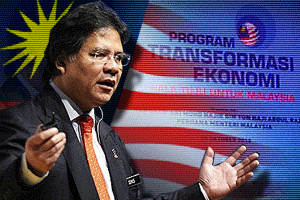 Minister in the Prime Minister's Department Idris Jala has said that Malaysia's debt would rise to 100 percent of GDP by 2019 from the current 54% if the government does not cut subsidies. Malaysia's foreign direct investment (FDI), he said, dropped 81 per cent from RM23.47 billion in 2008 to RM4.43 billion in 2009, in comparison with Thailand which recorded an FDI of RM19.01 billion and Indonesia with RM19.08 billion. 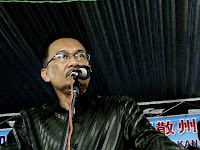 Pakatan has warned of an economic crisis due to crony capitalism and corruption; a social crisis due to narrow racial policies; and a political crisis due to democratic fatigue arising from the BN's abuses of power. Corrupt practices only bring benefits to cronies and hefty losses to the people. Malaysia's failure to attract foreign investment shows a desperate need for change in the management of the economy. Both good governance and a need to improve its competitive edge are vital. Armed with these principles, Pakatan is determined to make Malaysia a better place. 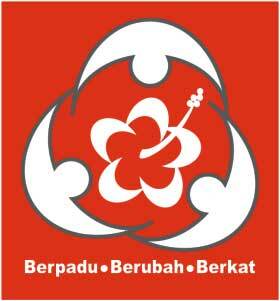 The three parties may have their roots in different ideologies – PAS (Islamic credentials), DAP (social ideology) and PKR (liberal ideals). Perhaps you would prefer to have a government which relies on the Internal Security Act to stifle criticism, one in which corruption goes unchecked and where the judiciary and police are mere stooges of the state. In order to make the necessary changes to this country, Anwar and his coalition must have a clear mandate to govern. The best choice for Malaysia is in your hands. Vote wisely! May all your wishes come true - Happy Christmas!